Double band engagement rings have become popular in recent years, offering a modern variation of the split band ring and a shape that is edgy yet feminine. Perfect for those who are looking for something a little bit different from the norm, this ring offers plenty of room for creativity, too. 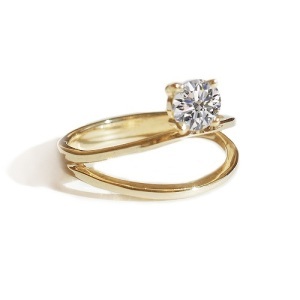 Keep reading to find inspiration on how to plan your dream double band engagement ring. If you are looking for something similar to split band, but with more of a double band look, these gorgeous engagement rings are sure to offer some inspiration. Pave stones work well on a variety of different designs, adding plenty of sparkle in a subtle way. 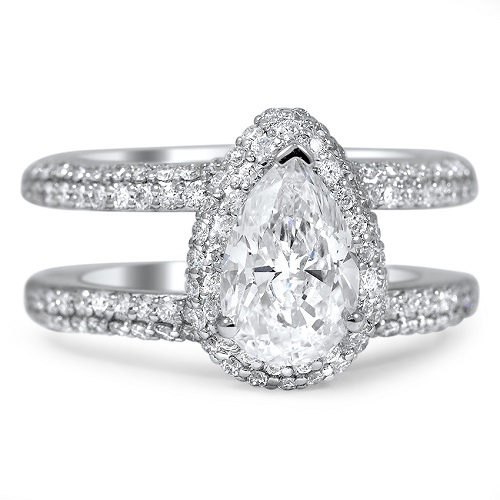 For the double band style, these tiny stones work especially well, highlighting the gently tapered pear to perfection. A halo around the centre stone adds even more bling to this design, which would work well in any choice of metal and diamond colour. The same design also works well with an emerald cut diamond as the centre stone. This cut is unique in a number of ways. 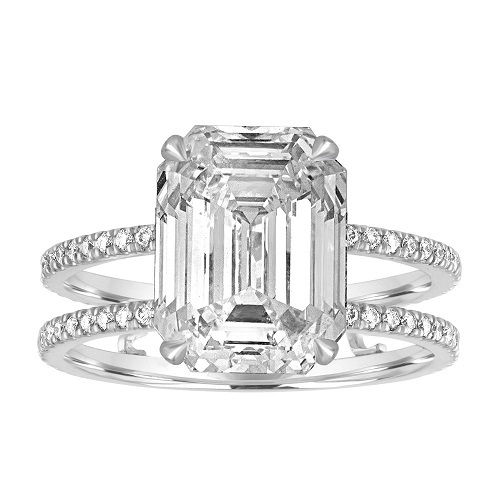 Rather than having multiple facets, emerald cut stones have a faceted surface that gives a unique glow to the diamond, catching the light in a subtle yet glamorous way. This stone was favoured for many years and has been enjoying a resurgence in popularity in recent times. 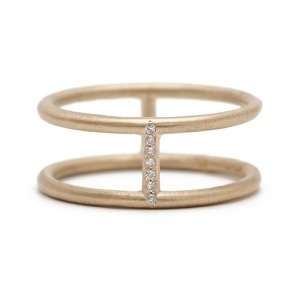 Ideal for brides who prefer a minimal ring style, this ring is simple and sophisticated. 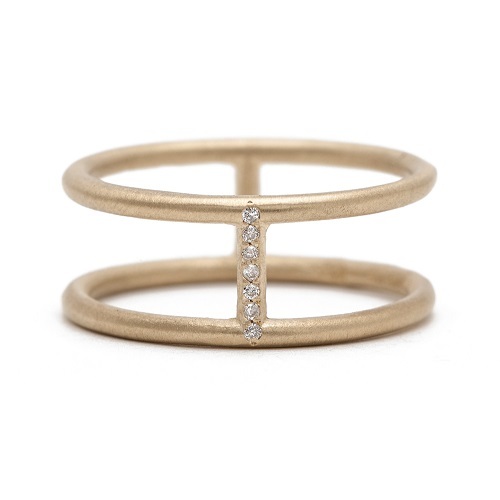 A solid gold double band is dotted with just a handful of tiny pave stones, adding enough sparkle to shine without being over the top or obtrusive. If you love the double band style but don't usually wear much jewellery, this minimal style is sure to appeal to your muted tastes. This unusual style has a solitaire diamond that appears to float on the upper band. In classic yellow or white gold with a white diamond, the ring is timeless in its elegance. It would work well in platinum and rose gold, too. Try a coloured diamond in blush or chocolate for added style or try something bolder such as ruby, sapphire, emerald or Tanzanite. 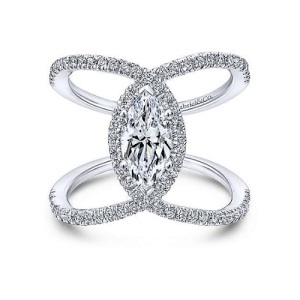 Another interesting take on the double band style is this twisted band ring with a centre marquise stone. The shape of this stone works well with the crossed double band, adding plenty of interest and balance to the overall design and helping to make the centre stone truly shine. Diamond and white gold or platinum work well in this design but you could choose any metal and stone with equally lovely results. Finally, made by our very own talented jeweller, Joel Graham, this breathtaking rose gold double band ring is elegant, simple and devastating in its timeless design. 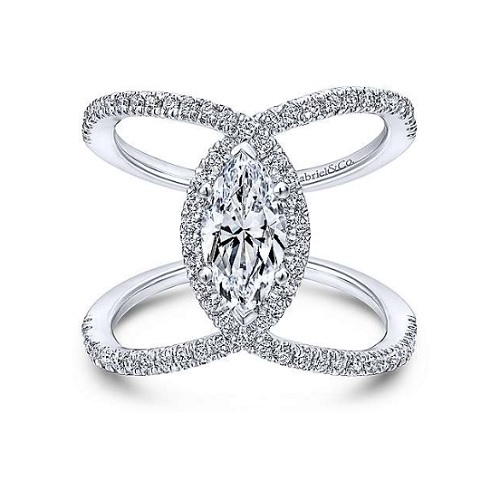 The centre diamond is highlighted to perfection, with the twin bands helping to add plenty of balance and beauty. Looking for help in finding your dream ring? 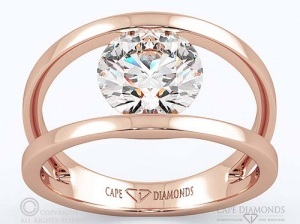 Contact Cape Diamonds today and let us know how we can make your engagement ring dreams come true.